Breakthrough ideas and technology reach across industry, altering consumer expectations and how people work. The products and supporting services we provide keep customers ahead of what’s next. The past 100 years have seen amazing advances in design and manufacturing, helping us revolutionize how business operates. On the horizon? Products and services that deliver more efficiency, greater reliability and better experiences. At the heart of every Panasonic product is a deep commitment to improving everything we’ve done before. Sometimes innovation comes in unlikely forms. 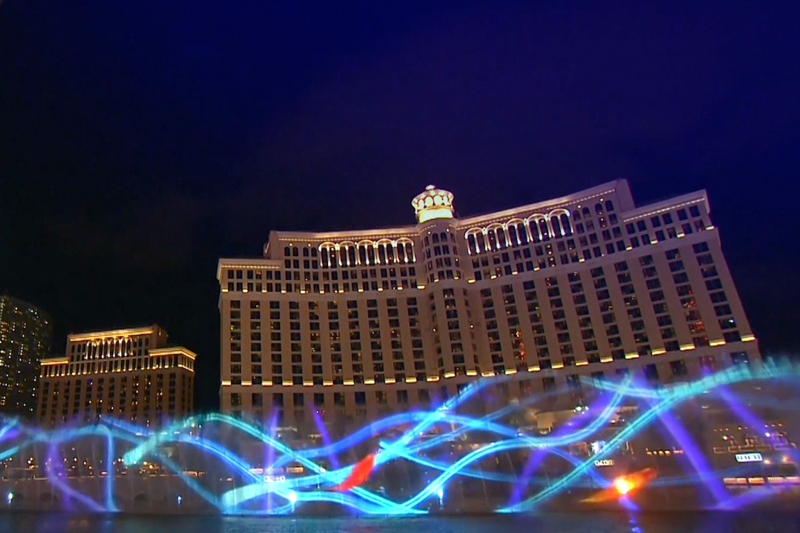 Meet a piece of connected infrastructure that is already illuminating the future. Sustainability isn’t just an idea. It’s an attribute of our innovations from energy storage systems to electric vehicle batteries. We’ve discovered that to bring audiences the experience of a lifetime, you have to re-write the script. The key to smarter supply chains? It comes down to purpose-built tools that connect people and processes to the right technology. You see our work all around you, in technologies that change how business does business. Our integrated solutions include best-in-class products and the expertise to get the most out of them. Since Panasonic’s humble beginning as a producer of light bulb components 100 years ago, we’ve been committed to bringing new and better technology to business. Our work starts with the vision to imagine something more, and continues with the thorough R&D that makes the impossible possible. These advances help industries improve what they do – by streamlining manufacturing, refining supply chain logistics, connecting people in new ways, and surprising and delighting customers. For us, the goal has always been the same: turn technological innovation into products and services that deliver real-life benefit. 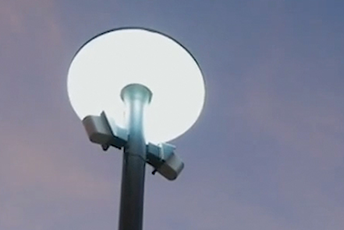 In a connected world, ordinary products like street lamps get smarter, serving us more efficiently with integrated technologies. Think about the changes smart phones have made in our lives with their incredible connectivity and utility. Now imagine some of those same capabilities applied to the devices around you. We have, and we’re putting that thinking to work today. Our smart LED street lamp, for example, illuminates as pedestrians approach, then dims again to save energy. It also integrates security cameras that can alert authorities in an emergency, monitors traffic and help motorists find parking. With intelligent embedded sensors, it even monitors air quality in real time. That’s just one example of our holistic approach to the products of the future, and how we can make them more useful by integrating various solutions. 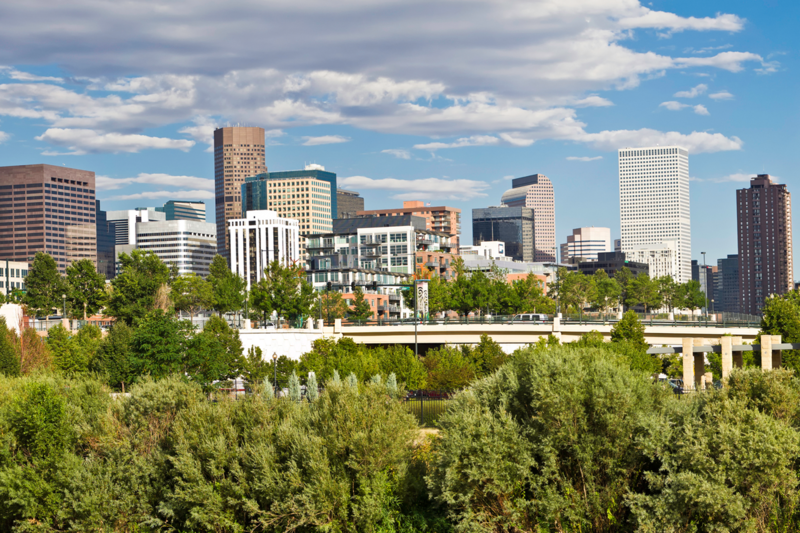 Whether it’s making cities smarter, creating more connected vehicles or producing the next generation of in-flight entertainment, we’re collaborating closely with our industry partners to make sure we solve their real-world challenges. Each year, we continue to improve our lithium-ion battery technologies to provide greater efficiency, longer product life and reduced cost. As we improve our ability to generate solar energy efficiently, we find ourselves with a good problem – excess capacity created from large-scale renewable projects. We’re solving it by creating exciting new energy storage solutions based on our lithium-ion batteries. Energy storage is another link in the chain of sustainable services we’re providing our municipal and utility partners. Together, we’re installing groundbreaking solar panels throughout communities, building urban microgrids, and consulting on energy management solutions for power-hungry infrastructure like cell towers. At the same time, we’re doubling the world’s high-efficiency lithium-ion battery production for cars. These are the batteries that Tesla is using in its vehicles, helping to increase carbon-free transportation. It might seem like magic, but it’s just another Panasonic innovation. We’re merging digital displays, immersive audio, projection mapping and personal mobile devices to create unforgettable moments. A 1,000-foot wide wall of light. 360-degree video galleries in museums. Olympic ceremonies that rival the sporting events in excitement. It’s all thanks to Panasonic’s custom-built projection mapping solutions that have been enjoyed by hundreds of millions around the world. By merging our high-performance laser projectors and incredible technical support, and creating partnerships with the most creative minds in entertainment, Panasonic has become a world leader in these immersive installations. In our view, these multi-dimensional illusions are the future of large-scale live events that want to create ever-greater spectacles. These projects showcase the power of imagination when brought to life through reliable, integrated technologies. And they further our vision of enhancing the way people experience life. 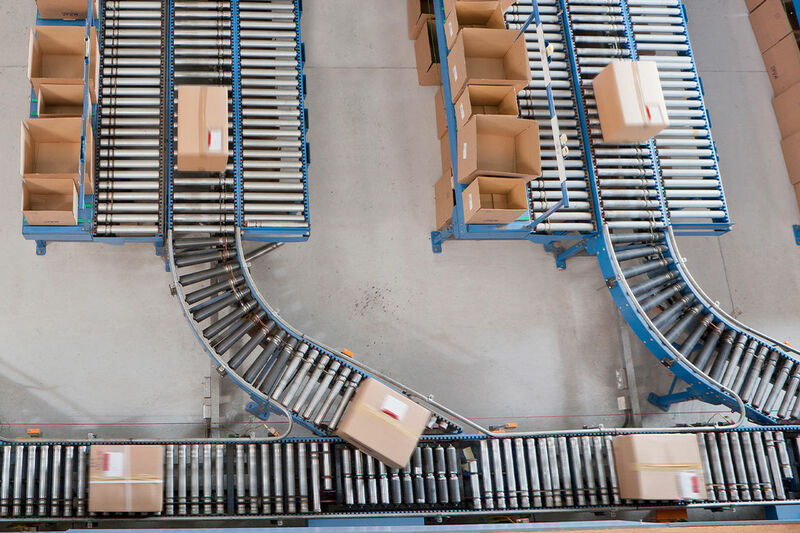 Today’s automated supply chain requires an ecosystem of well-choreographed motions between many components and partners. Our mobile computing solutions are connecting the parts for an efficient, holistic enterprise. Panasonic Toughbook laptops and Toughpad® tablets bring vital information to every player in the chain, from workers on the factory floor, to shipping agents and warehouse personnel, to retail partners stocking store shelves. These mobile computers offer industry-leading durability, rugged enough to survive damp and dusty environments, bumps and drops, even spills and extreme temperatures. With these versatile devices as the cornerstone of our automated supply chain solutions, we’re helping businesses of every size and shape. By customizing the capabilities and form factors of our devices to meet highly individualized needs, we’re providing the tools that companies need to gain a competitive edge in today’s fast-moving world. Recognized as a top 20 global supplier by Automotive News, Panasonic Automotive Systems Co. of America is proud to partner with the world’s leading vehicle makers and new entrants in mobility to help define the future of transportation. Toughbook computers, tablets and handhelds are built for the world’s toughest users – those who do extraordinary things in extraordinary places. When conditions become impossible, Toughbook is right there with them. We are dreamers and technologists, collaborating with partners to find unique solutions. Together, we are using disruptive technologies in ways that positively change the way people live, work, shop and play. Over the past 100 years, Panasonic has become a trusted name in durable, innovative consumer electronics. With quality engineering, legendary craftsmanship and a wide breadth of products, our goal is simple—to make everyday life better. Data is the digital currency of the world economy, and even so, businesses struggle to archive, manage, protect and use this rich tender to its fullest capacity. It’s not about getting off the grid. 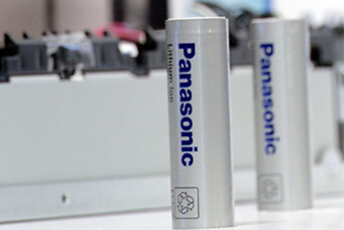 It’s about building a better one, and Panasonic has positioned itself as a trusted partner in end-to-end energy solutions and storage. Leading manufacturers demand production line precision. Using advanced robotics, IoT capabilities and software that integrates automation systems across the enterprise, we help our customers unlock new value. We’re making food service faster and more personal with point-of-sale-devices, self-ordering kiosks and drive thru communication systems all connected to the back of the restaurant – so customers can really have it their way. Panasonic has a rich history of creating products for a better home life. We offer a wide range of solutions for both inside and outside the house that help homeowners enjoy more convenient, efficient and environmentally responsible lives. Bringing strategic innovation and industrial technology to our customers. Discover the latest in Panasonic Industrial components, energy solutions and automation. From smart retail to IoT powered cities and homes, Panasonic is leveraging connected technology to move us to a better life and world. Part of the Panasonic family, ITC Global offers global-scale presence and local on-site support. It provides custom end-to-end solutions to meet the most exacting needs in the most challenging environments. From business phone servers and phones designed for cloud-based calling to high performance scanners and imaging software, rely on Panasonic office products to help your business communicate, integrate and dominate. Things happen fast in a busy hospital, on campus or in the line of duty. We provide integrated security and video surveillance solutions to help security and law enforcement maximize situational awareness and capture evidence grade video.